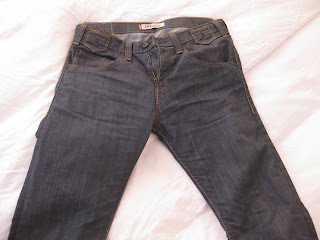 Having virtually worn out the only pairs I packed with me four months ago, I picked up a new pair of jeans last week. The experience helped illustrate the answers to some popular questions from friends and family: What's extended traveling and/or moving abroad like? How has the experience been so far? Maybe you've had your eye on a pair for some time, especially if you're tired of the ones you wear every day. So you do some homework, decide to try them on and then lay some money down. At first, they're restrictive and uncomfortable in some places, familiar and forgiving in others. To find your way in a new city or new denims some, er, adjusting is required. For the city part, it's a sort of mental package adjustment, if you will. (Bad visual - sorry. But it works as a metaphor). There is already a sense, at times, that they may well turn into your favorite pair in a few weeks or months. They become the best pair you've ever had and wow are you ever glad you made the commitment. They make you feel like a cool A-list celebrity. Or they may remain on the second shelf, the pair that looked good on display but ultimately weren't for you. 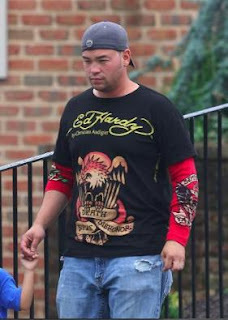 They turn into a pair of Ed Hardys on that doughy deadbeat Jon Gosselin.